When you think about things that glow in the dark, what is the first thing that comes to your mind? For me, I think back to those wash off, glow in the dark tattoos that would come packaged with chewing gum as a kid. We would make a binocular with one fist over the tattoo, and cover it with one eye to catch a glimpse of it glowing... Back then, black lights weren't readily available, nor did I know they existed... I think that my first introduction to black lights, that I can remember, was probably seeing them on the MTV show Room Raiders... After that, I noticed they were used in clubs with "invisible ink" to mark patrons etc. And of course by the time I started studying forensic science, black light aka ultraviolet light was everywhere! Now they're on cupcakes, and just in time for Halloween! You won't believe how simple it is to make cake and frosting glow in the dark!! So how did I get the cake and frosting to glow? TONIC WATER! Tonic water contains an ingredient known as Quinine that glows under black light. Quinine is a white powder that originates from a the Cinchona Tree, native to South America, though it can be synthetically produced. It is the ingredient in tonic water responsible for its bitter taste. 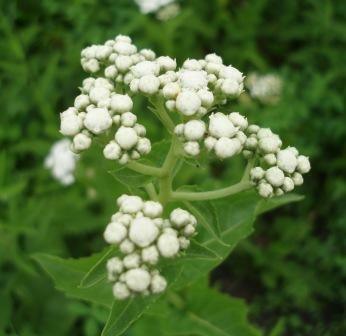 Moreover, quinine is used to treat malaria and its associated symptoms including fever and inflammation. According to the U.S National Library of Medicine's PubMed Health database, "quinine is in a class of medications called antimalarials. It works by killing the organisms that cause malaria." In addition quinine is rumored to assist in the treatment of Lupus and muscle cramps. Long ago, quinine was added to water to create tonic water as a means of preventing against malaria. Drinking gin with tonic water became a popular way to chase the bitter flavor of quinine. Today, quinine is still added to water but in smaller quantities. When a substance is exposed to light it absorbs and emits photons at the same time. A photon is a bundle of light/ electromagnetic radiation. Quantum yield is the ratio of photons absorbed to photons emitted. In the case of quinine, when exposed to ultraviolet light the photons absorbed trigger an emission that appears to glow to the naked eye. I first discovered the glowing frosting trick on Instructables and I tested both methods described in the "Ghoulishly Glowing Cupcakes" post. But after experimenting with the recipe I had to tweek it and concoct my own. As the frosting sets in the pattern you created, tonic water is slightly absorbed by the cake, if the cake is a light color you will see it glow too! Some other cool things I discovered : Many everyday things glow under black light, like grocery tags, labels on food products, warning signs on household appliances. Remember my Sleekstore Measuring Cups? Check out the photos below!